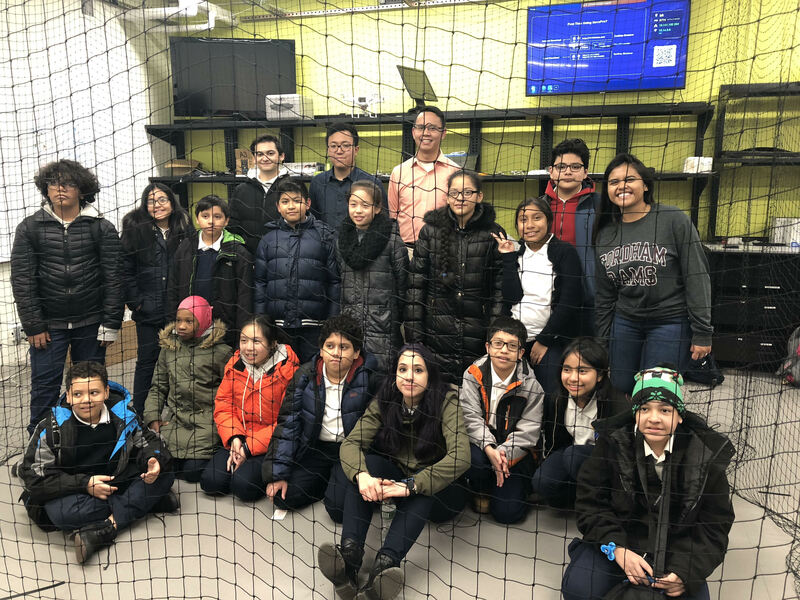 A group of 16 high achieving MS/HS students from the Bronx Laboratory School of Finance and Technology visited the Fordham Robotics lab January 25th 2019. They received a series of hands-on demos from some of the students who work in the lab. Kasper Grispino demonstrated coordinated control of the swarm of Crazyflie quadcopter drones that he is doing research with. His research focuses on human-drone interactions. 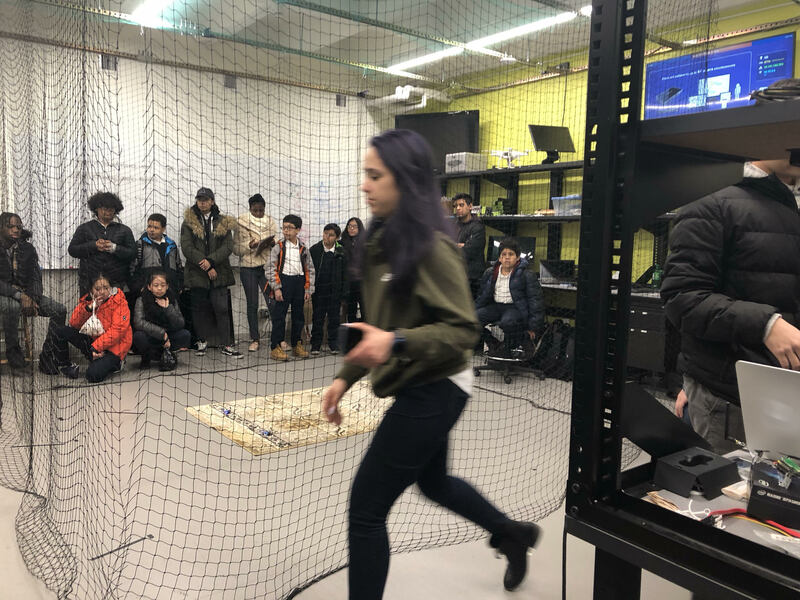 He displayed various computer controlled drone swarm activities, which consisted of randomly generated flight paths that controlled the angles of flight using calculus. In addition, Kasper demoed the use of camera information to allow a drone to respond and move based on his body movements using computer vision. 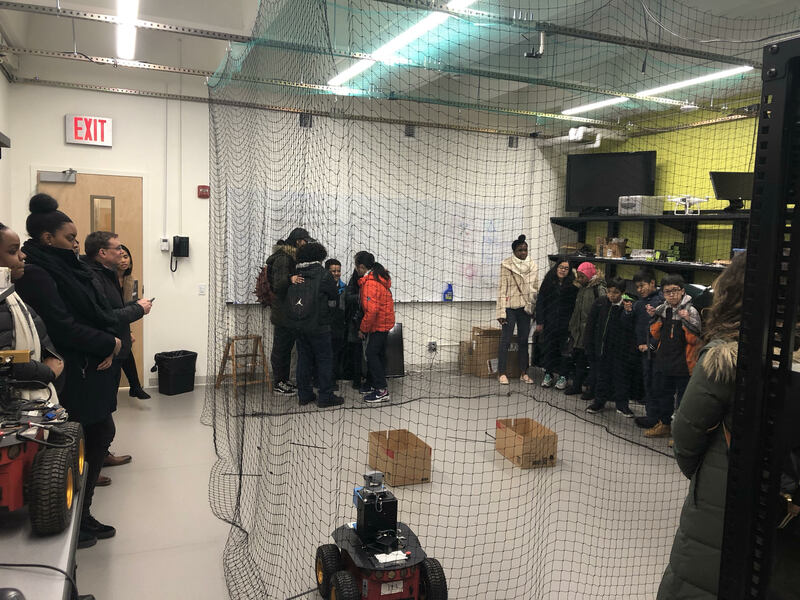 Trung Nguyen demonstrated the open-source robot operating system ROS and showed how it could be used to control some Pioneer 3-At ground robots. One of ROS' features permits the Pioneer to display laser and sonar data to other computers. 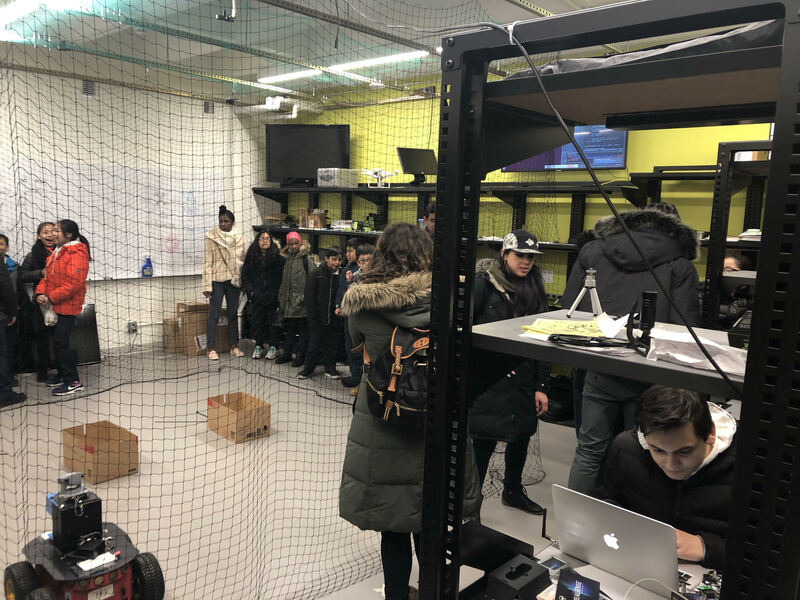 Additionally, he offered students the opportunity to issue commands using a python program to control a Pioneer in parking itself in a designated location.